Group Size: This hike is limited to 9 participants due to wilderness regulations. Claim your spot early! Join SAHC for a venture into the Shining Rock Wilderness Area to summit Cold Mountain! This peak was made famous by Charles Frazier’s novel and Highland Brewing’s beer of the same name. Participants will travel up 2,800 feet over 11 miles across streams, rhododendron and hardwood forests along the Art Loeb, Deep Gap, and Cold Mountain Trails. Attendees will enjoy stunning views, including 815 acres protected by SAHC on Cold Mountain and in the Shining Rock area. 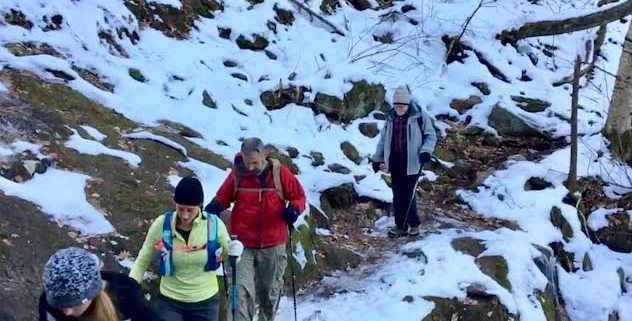 Due to high elevations, length, and cold weather conditions this hike is not for beginners.